Traditionally, the protagonists in games gain strength and power as you progress. ‘To Ash’ is a little different though; the main character starts out strong and loses his power and agility as time passes. Why? Because Ballentine wanted to create a game with a very specific purpose – to teach people about the acceptance of mortality. A lot of coping skills for anxiety and depression involve accepting what you can’t control… I think it’s important for everyone to think about those existential questions like purpose and the afterlife. There’s no right answer, but if you don’t live in great fear of death, you can stay more present. 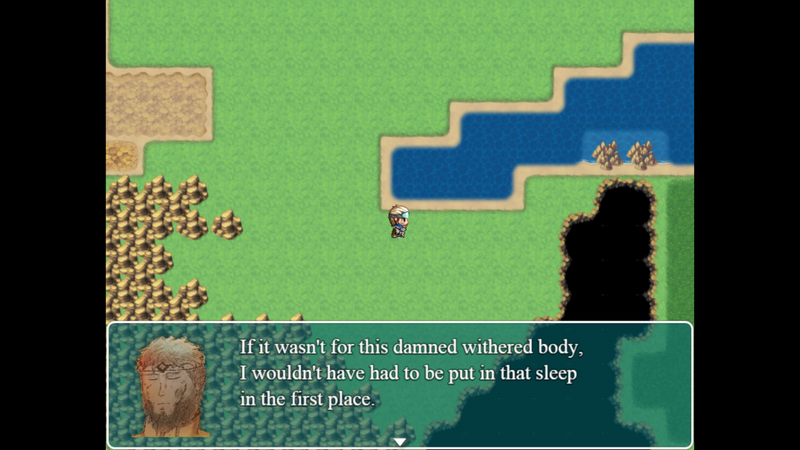 The main character of the game is Demetri. He’s a warrior that loses power as the game progresses, thus making his battles more difficult and forcing the player to rethink how to fight. Ballentine says parts of the game are designed to reflect the stages of grief, like anger, detachment and denial. So the game can be played by young and old, there will be two versions when it is officially released in February. The first version is a story-only mode, which has explorations and puzzles instead of battle. The second is what you’d expect from a more traditional RPG and comprises of a long story based around battle.The complete game takes 6-10 hours to complete, according to its creator. ‘To Ash’ is available now to anyone who wants to be a Beta Tester. Ballentine is specifically seeking feedback on difficulty, cohesion and pacing.